Having been away from home last night, day 1 of my 12 beers is actually happening on day 2… Better late than never I think! 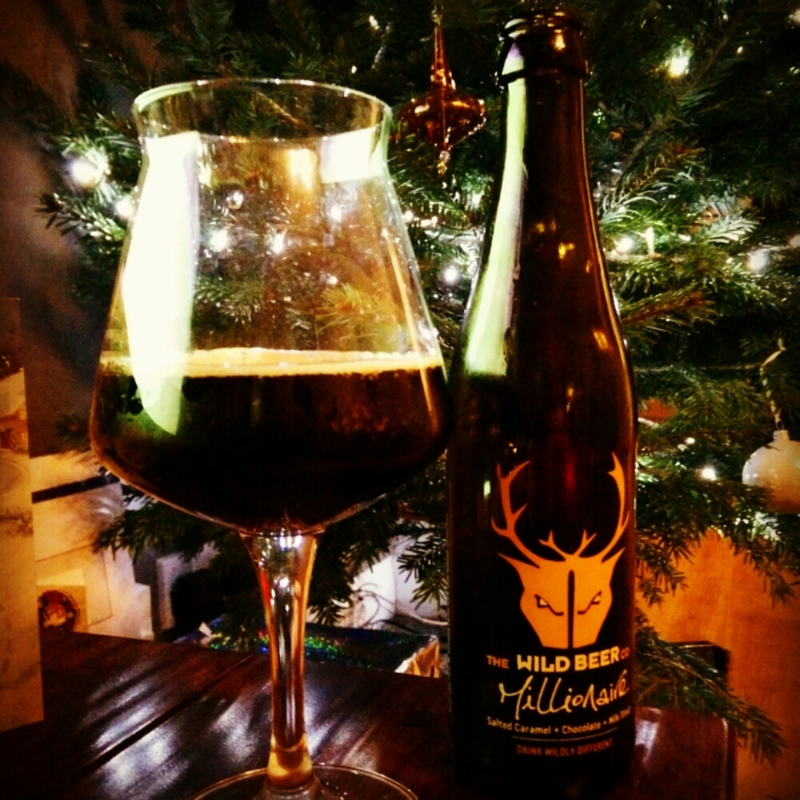 Beer 1 is a new one, released only last week from the chaps down the road at Wild Beer. ‘Millionaire’ is described on the bottle as “Salted Caramel + Chocolate + Milk Stout” and you can’t really argue with that as a description. It pours with little carbonation, quite thick, almost impy stout-like, but a sensible 4.7%. It’s very ‘chocolate milk’, with just the right level of saltiness in the background. Draining the glass doesn’t take long, but the sweet and salty aftertaste lingers for quite a while. Possibly one of the nicest sweet stouts I’ve had. Very ‘moreish’ and definitely one to return to in the New Year.